I woke up to the beautiful birdsong of the black-capped chickadee. It’s a song that reminds me of my Dad’s place in Pennsylvania. I smirked briefly before I realized the dream I was having also ended abruptly. I won’t go into details, but it was a dream that no guy wants to end early. 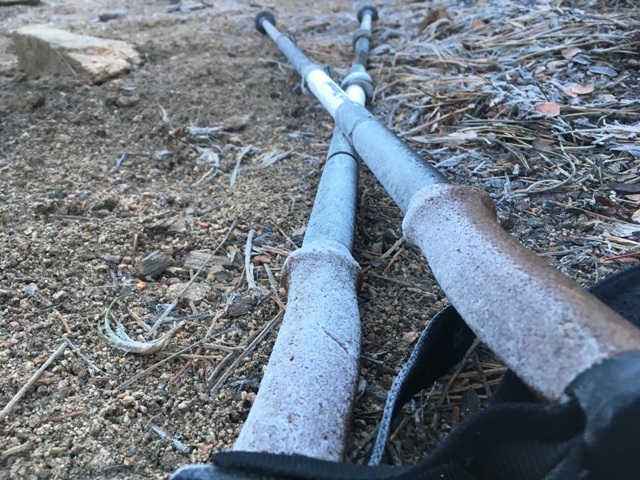 Frost covered my trekking poles, my tent, and my food bag as I packed up camp. I was on the trail at 6:30am, which is one of my later starts thus far. 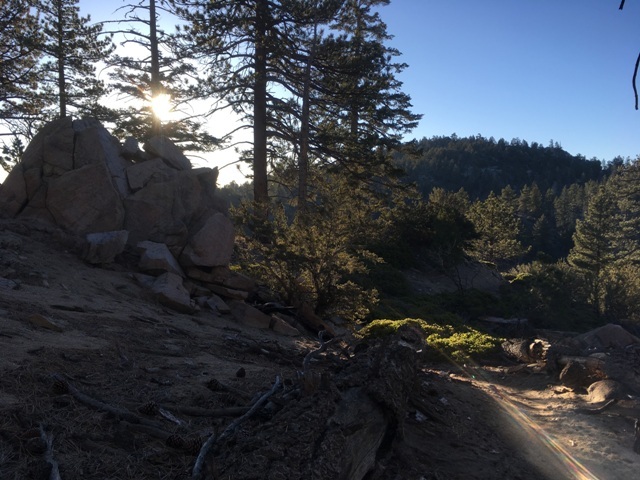 I was heading into Big Bear Lake for a resupply and a Nearo day. Two miles into my hike, I see a sign in the trail that reads “Trail Magic - Hot Breakfast Sandwiches”! I raced up a dirt road a couple hundred yards and was greeted by Rodeo & Pause. I was the first hiker! Rodeo immediately sat me down at the kitchen table and Pause and I split a warm cinnamon roll while Rodeo made me an fried egg & toast sandwich. I was also offered grapes and orange juice. I accepted gratefully. I even offered some money, but was told not to worry about it. People with such huge hearts, I can only say “thank you” over and over. 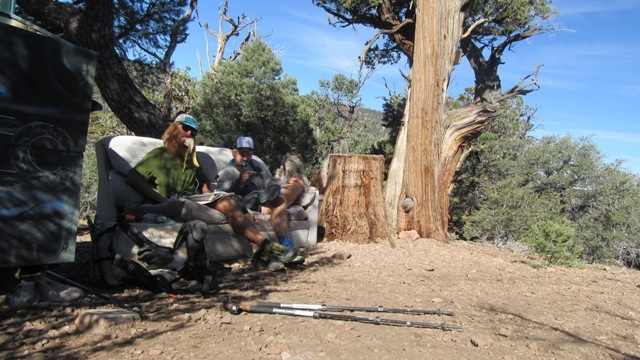 I looked up and saw TreeBeard sitting on a couch drinking a Mountain Dew and eating a fresh banana from another trail magic stash in the middle of nowhere. TreeBeard hikes exceptionally fast, so as soon as we rose off the couch, he was gone. TreeBeard would be the last thru hiker I saw all day. 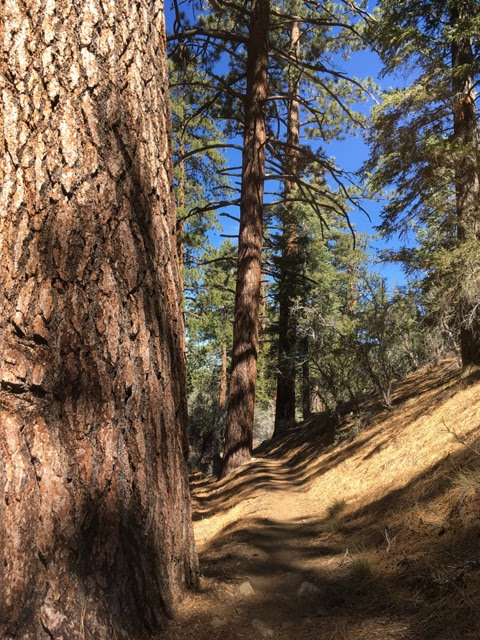 I hiked alone cranking Metallica for parts in one earbud, and sometimes just putting my headphones away and listening to the sounds of the forest and loving the softness of a trail covered with pine needles. 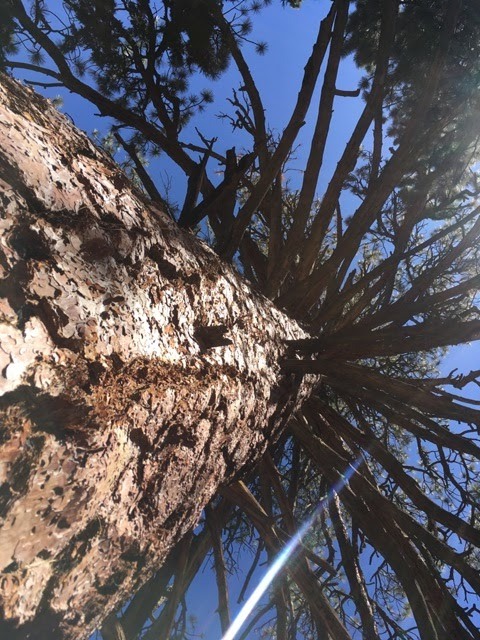 The quickly, the pines were intermingled with a cactus or two. 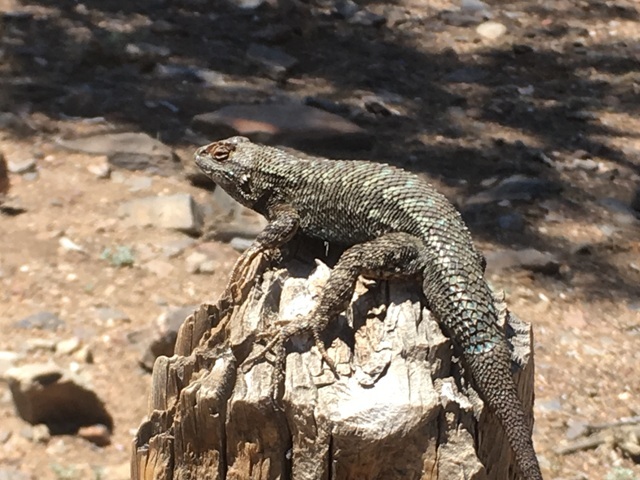 Then I’d see a lizard perched on a PCT trail sign post. 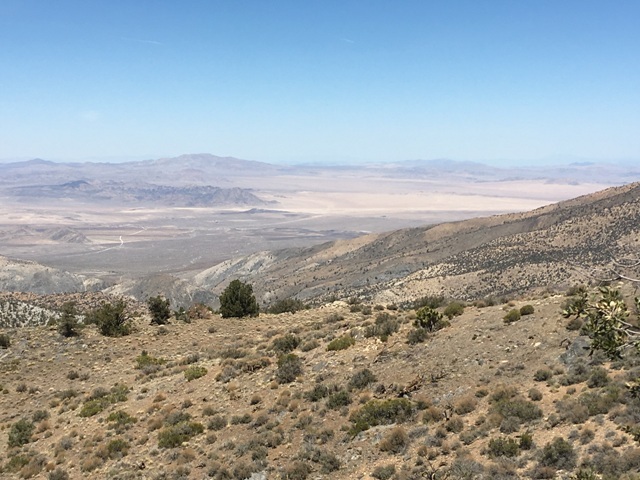 Then, it was back to the desert. I’m amazed by how quickly this terrain can change; little micro-climates separated by a few dozen steps. 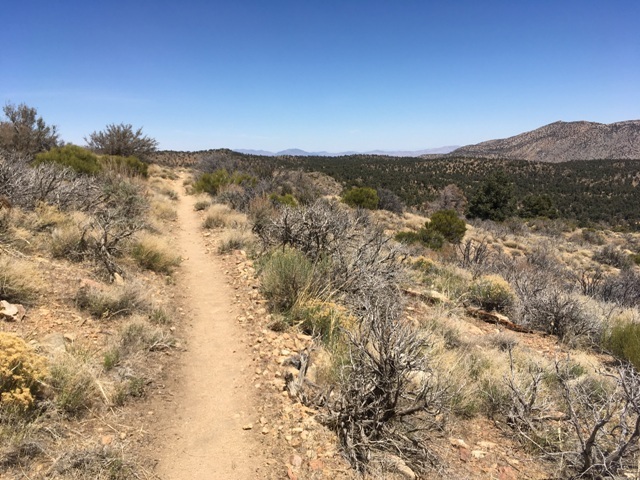 I covered nearly 18 miles in eight hours, and that included several stops for trail magic. 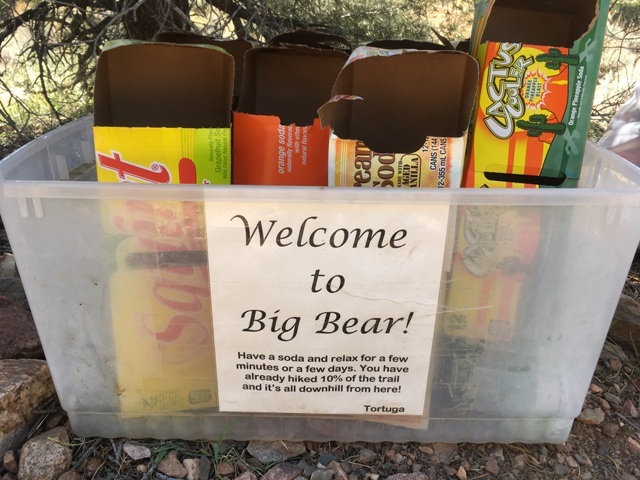 As I approached the trail’s intersection with Highway 18, which I would use to hitchhike into Big Bear Lake, I saw my third trail magic of the day. I consumed an orange soda while flipping a trekking pole behind my back for the last 100 yards to the trailhead. 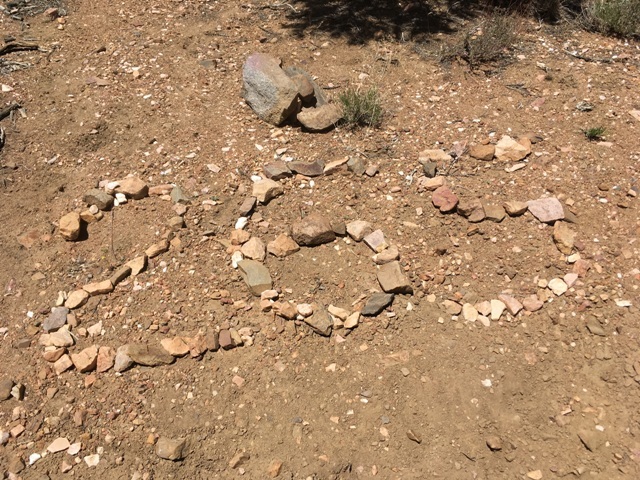 There, I was engaged by a young grad student doing a survey on PCT hikers. There was a free hot dog in it for me, so I obliged. After my survey, and making a hot dog disappear, I walked to the highway. I stuck my thumb out and got a ride from the third vehicle that passed. The gentleman was a good ol’ boy Texan in a Jeep Wrangler who knew a lot about the area and probably more about trout fishing. He drove me all the way to the hostel’s doorstep. He was a class act, and he also refused money for gas. I quickly discovered the hostel was full for the night when I found the front door locked. I thought about rooming with Rainman, but his text message suggested that I’d be sleeping on the floor, and my body really needs a good night of sleep in a bed. To make matters worse, I could hear some familiar hiker voices behind the door as the hostel’s owner met me outside to give me my resupply package. I left there feeling alone, almost shut out. I tried not to let my spirits down. 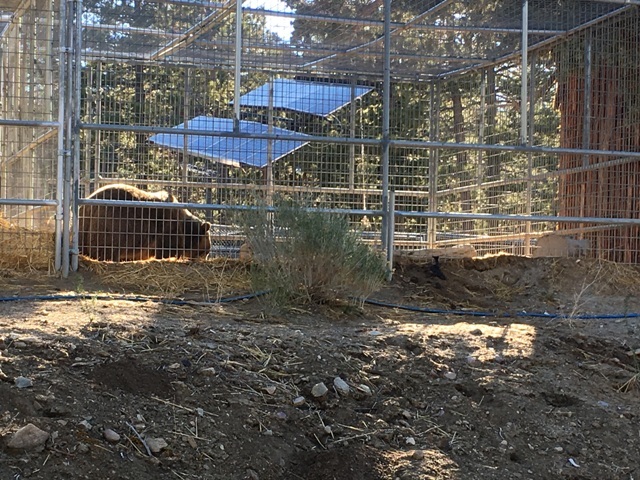 I picked the closest place on his list of recommendations, and ended up in a room at the Honey Bear Lodge. They gave me a 10% discount because I was a PCT Hiker. I showered and then walked into town and did my laundry. I walked back and did all my hiker chores; clean water filter, ditch my trash, repackage items from my resupply box into my food bag, clean gear, air out my sleeping bag, fixing my broken headlamp, etc. 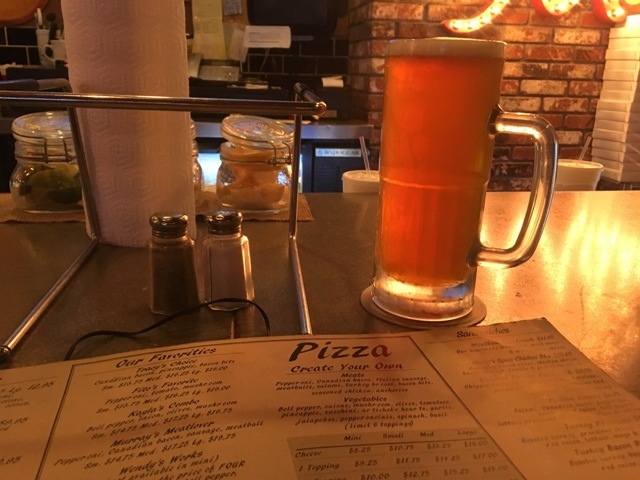 Eventually hunger won and I went to a pub called Fire Rock and ordered a 22oz Sculpin IPA and a medium pizza with sausage and mushroom. There were two guys next to me splitting a medium pizza. They took two slices to go. As for me, I ate the whole pizza with ease. I then downed the rest of my beer and walked 100 feet down the street to North Pole Ice Cream. 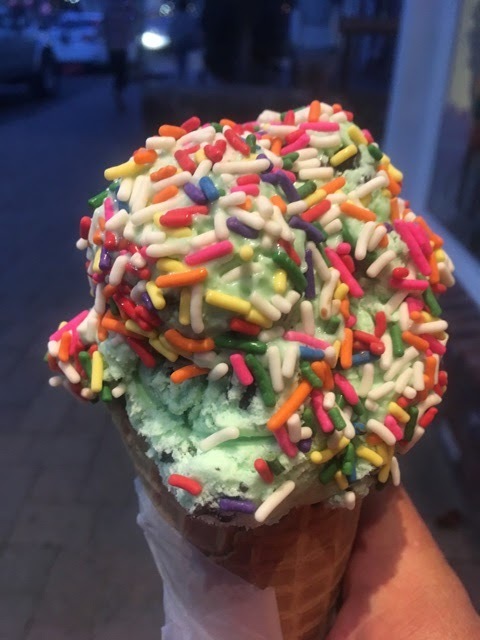 I enjoyed my huge ice cream cone w/ sprinkles while talking with three Californians by a fire pit in the village. After inspiring one of them to hike the PCT, I headed back to my room where I filled the hot tub and just laid there letting my muscles relax after a long day. I plan to have breakfast tomorrow, buy some fuel, and then I’m back on trail again in the afternoon. I almost can’t wait to get out of here. Copyright Adam Wilbur 2014. Simple theme. Powered by Blogger.